Prahran compiled a huge score of 335 against Carlton-Brunswick at Toorak Park. Jess Duffin hit a brilliant 132 from just 89 balls, with 16 fours and 7 sixes, while Erica Kershaw (76 off 51 balls, 11 fours, 2 sixes) and Emma Inglis (43) provided good support. To Carlton-Brunswick's credit, Eve Sheehan (3/45), Tahlya Sleep (3/55), Tahlia Simpson (2/41) and Adelaide Campion (2/42) all persisted well to dismiss Prahran in the 50th over. Carlton-Brunswick in reply was dismissed for 106, with Ellie Mason (45) top-scoring. Alana King (4/32), Lauren Innes (3/7) and Annabel Sutherland (2/10) shared the spoils for Prahran, which has taken top spot on the ladder with today's win. 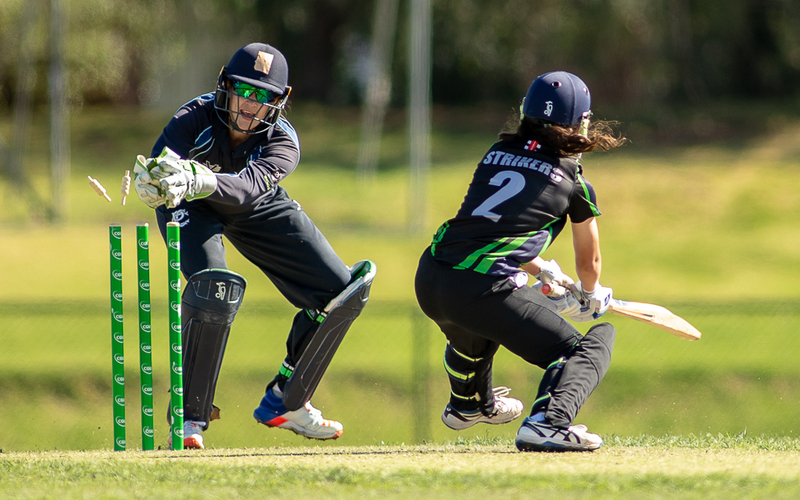 In other games Dandenong (8/218 - Nicole Faltum 79 Maryam Omar 42) was too good for Ringwood (135) and Melbourne (7/135) inflicted Plenty Valley's (134 - Sophie Reid 55no) first defeat of the season. No play was possible at Box Hill City Oval for their clash with EMP as the ground failed to recover sufficiently from Saturday's drenching.